HandsOn Suncoast Volunteer Leaders (VLs) are the heart and face of the many volunteer opportunities that we offer in the community. Volunteer Leaders provide leadership to volunteers at designated HandsOn Suncoast projects and act as the liaison between them, HandsOn Suncoast staff members, and our agency partners. The best Volunteer Leaders bring energy and enthusiasm to HandsOn Suncoast projects. They are trustworthy, organized, and open-minded individuals that wish to grow as leaders and create a fun and engaging atmosphere for all volunteers. 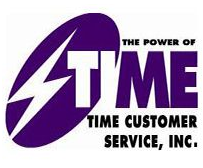 Volunteer Leaders are asked to lead between four and six individual project occurrences each calendar year. Volunteer Leaders guide volunteers through the project, including signing in, providing instructional leadership on project tasks, agency background information, and a short post project reflection. Volunteer Leaders also record attendance on the HandsOn Suncoast website and contacts volunteers with specific project details, which takes about 10 minutes additional time. Why are Volunteer Leaders important to HandsOn Suncoast? Volunteer Leaders are vitally important to the success of HandsOn Suncoast projects as their experience provides the structure for a great volunteer experience and their enthusiasm for the project creates a welcoming and fun atmosphere. HandsOn Suncoast is able to expand its volunteer programming as we add strong Volunteer Leaders to our team of committed citizen leaders. During the one-hour training individuals will learn how to become an effective Volunteer Leader, including current best practices before, during, and after a project. The training will also cover HandsOn Suncoast policies, and how to accurately speak about HandsOn Suncoast’s mission. Additionally, individuals will learn how to print sign in sheet, and record attendance and contact volunteers on the HandsOn Website. Ready to Become a Leader? 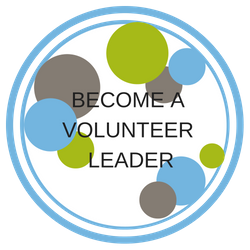 Click on the Button Below to Fill Out A Volunteer Leader Application!